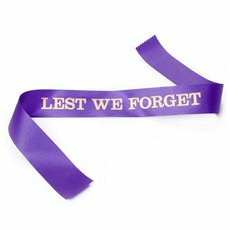 Adorn laurels and wreaths for special occasions such as Remembrance Day and Anzac Day with a satin ribbon or sash. 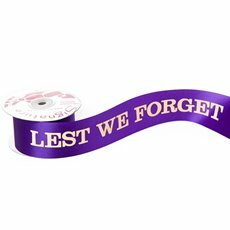 We stock popular Lest We Forget Ribbons that you can use to make wreaths. Pay your respects and commemorate an important occasion with our traditional ribbons and sashes, which are available individually or in rolls.